Dinner time is when family memories are made. They'll never be able to forget how much you cried at the table. Long after you put them in the cheapest unlicensed retirement home you can find, your parents will look back on dinner with fondness and emotional trauma. "IT'S SPIIIICYYYYYY!!" will echo in their ears for the rest of their days. Adults don't just cook to hurt you with recipes, they also cook to express their feelings. It's called "culinary ARTS" for a reason. Yes, 99.9% of what they make is trash, but we're not supposed to judge art. We observe art from a distance. Stare at it. Move it around on our plate. Get up and walk around. Excuse ourselves for quick poo. Get help with poo. Ask about dessert. 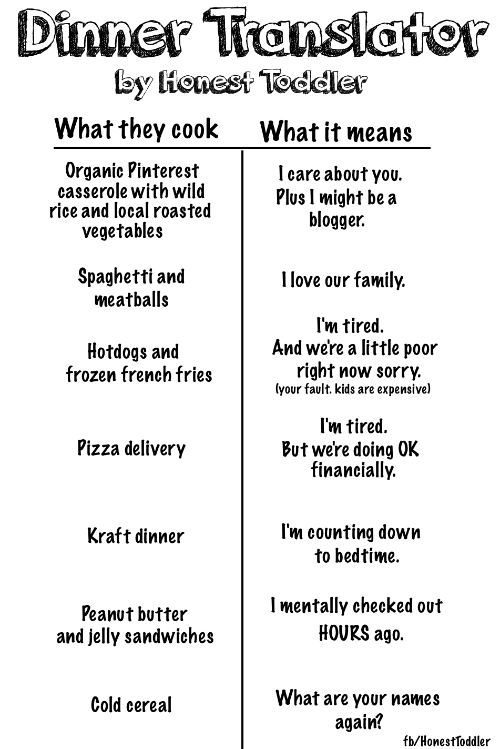 You can tell what's going on in the heart of a parent by the meals they make. Do they feel as raggedy as they look? Or do you have a kitchen Banksy on your hands with a deep desire to create photos for Facebook? 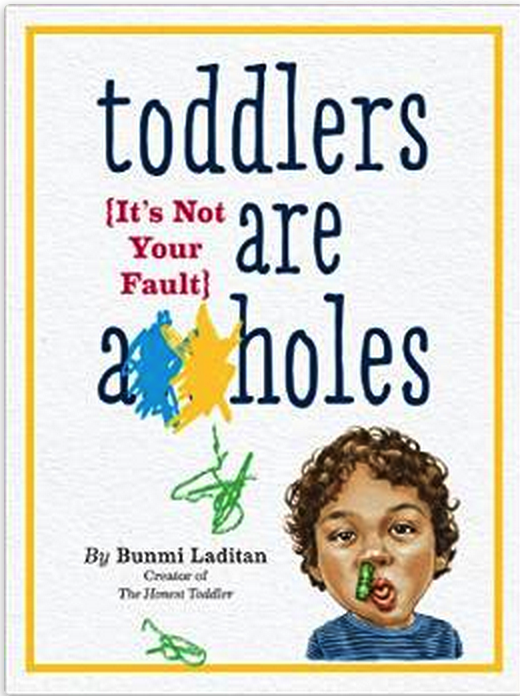 Pay attention, young toddlers. A wise person once said, "Out of the abundance of the heart, the parent cooks." Today my book came out! 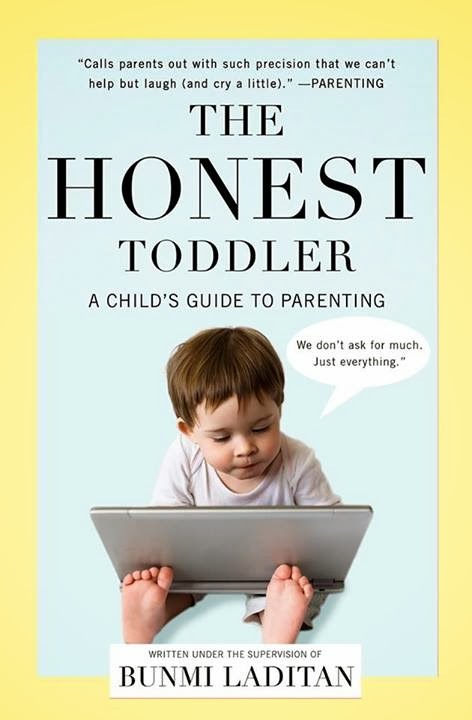 My book- The Honest Toddler: A Child's Guide to Parenting.